This is only a brief summary of the advantages and disadvantages of Self Publishing. Get your full report below. When an author Self-Publishes - everything changes. The changes are all good but you do need to go into it with some information. Otherwise you'll be taken advantage of. And you could wind up wasting a lot of time and money and have nothing to show for it. Gross profit is the money left over after all the direct costs (printing, distribution and promotion) are paid. This means that the author keeps a great deal more money per book sold. The author gets paid much faster. As opposed to the normal system of delayed "royalties" to authors from conventional publishers. The author retains total control over all aspects of the production of his book, i.e. cover, binding, title, trim size, etc. The author retains total control over all aspects of the promotion of his book. The author's book stays in publication indefinitely. Instead of being pulled off the shelves 4 months after it was published. The author retains all rights to his work. Publishers are now routinely including all kinds of kinds of rights in their "standard" contracts like; movie, foreign, game DIGITAL i.e. ebook. And all for the same skinny advance. Can anyone say GREEDY. The author receives no advance against potential future royalties. The author must do himself (or hire people to do for him) those things a "publisher" normally does to turn his manuscript into a printed and bound "book" or e-book. The author is responsible for all aspects of his finished book. The author is responsible for the distribution of his book. Whether self-publishing or conventional publishing is used, the author must promote and "sell" his book. Self-publishing is not a solution for a poor quality manuscript. The very first thing that every writer must do before even considering self-publishing is to ensure he has written a good book. And the very next thing that every writer must do is to work out a good promotional campaign for selling his book. As Jack Canfield, co-author of "Chicken Soup for the Soul", said, 'Writing the book is only 10% of the work, now you must figure out how to sell it'. Everything else counts for nothing if you don't sell any books. Self-Publishing in this quickly evolving digital age presents an unprecedented opportunity for writers. Self-Publishing is a double-edged sword. 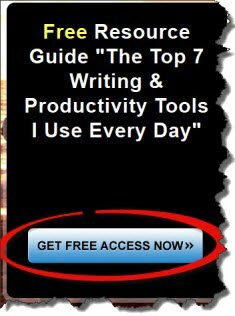 Those writers who understand and use this new technology will prosper. Those writers who continue their old ways... will continue to be taken advantage of. Yes, writers have been short changed for decades by a publishing industry they did not understand. But all that is changing for writers who educate themselves. Obviously the above is only a quick summary of a few of the key points. There is much more to know if you expect to take advantage of this new technology without getting ripped off. Get the full report (below) and may you have the writing life you've always dreamed of. Copyright - you may freely republish this article provided the text, author's credit, active links and this copyright notice remain intact.